You may remember Miitomo. You probably won't though. If you're anything like us, you downloaded it on the day of launch, played around with it for a few days, and then never checked in again. It wasn't really a game. It was more a super lightweight social app where you'd add your friends and then answer an endless stream of silly questions which your friends would then see when they logged in. It was bright and charming, but ultimately narcissistic and vapid. And Nintendo has now pulled the plug on it. As of May 9, the app will no longer function at all. Sidekick Mii characters will be deleted. You can keep Sidekick Mii characters by saving them as a QR Code before the end of service on May 9, 2018 at 12:00 a.m. PT. They can then be transferred to Mii Maker on the Nintendo 3DS family of systems or the Wii U console. You will not be able to view Miifotos, including Miifotos you have shared to your social media channels. If you want to save any Miifotos, you must save them to your smart device before May 9, 2018 at 12:00 a.m. PT. 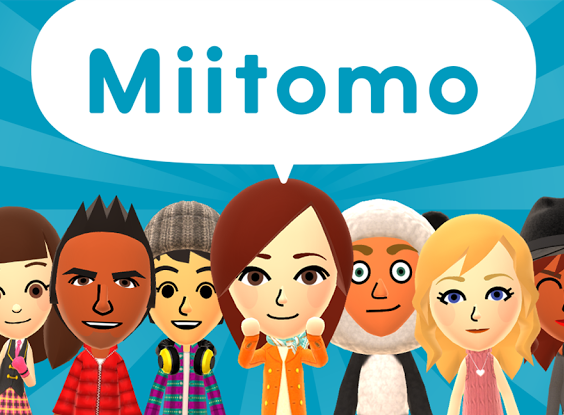 Miitomo-themed icons and clothing items used in your Nintendo Account or the Super Mario Run game will not display after the service has ended. For a mobile app to be shut down after just two years, it must have been something of a disaster for Nintendo. All that enthusiasm for the very first Nintendo mobile experience died away once the company started launching proper games based on its Mario, Fire Emblem and Animal Crossing franchises... and by all accounts those three have been far more successful. Furthermore, coming on the back of the shutdown of MiiVerse last year - the social networking app on Wii U and 3DS - and the general lack of interest in Miis on the Nintendo Switch to date, the shutdown of Miitomo only reinforces the idea that the innocent charm and fun of the Miis is no longer part of Nintendo's strategy. That in itself is a big pity; Miis were clearly a big part of the legacy that Iwata-san left Nintendo, and it's sad to see them go. As Nintendo Labo demonstrates, though, the company has lost none of its sense of playful creativity. And sales of the Switch show that the company couldn't be in a better place right now. This is just an acknowledgement that the Nintendo of today is different to the Nintendo of a few years ago, and Miitomo was indeed a mistake.